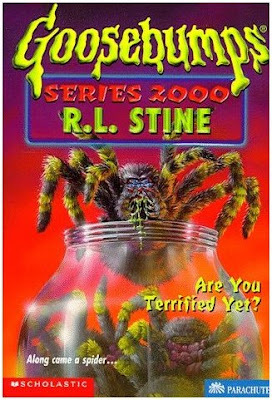 blogger beware: the goosebumps blog: Series 2000 #09 Are You Terrified Yet? Series 2000 #09 Are You Terrified Yet? Series 2000 09 Are You Terrified Yet? Most Goosebumps books feature improbable scenes, but I'd be hard pressed to come up with anything less plausible than the brakes of a car with a baby in the passenger seat accidentally giving way without the driver inside, and the careening car being stopped by a twelve-year-old boy who dives in from the street to rescue the child and stop the car. No, this isn't a scene from Agent Cody Banks (I assume), it's the opening of Are You Terrified Yet? The hero here, Craig, started the book by being scared of a leaf, so there was nowhere to go but up. His reputation for being a scaredy cat is so well-known that his classmates called him C-C-C-Craig, which unfortunately means they could never use that excellent "Did I stutter?" retort. But things are looking up for Craig, as he's just moved to a new town, a new town with abandoned babies in speeding cars. The joke of the novel, and it's a good one, is that by consistently being cowardly, Craig is widely perceived as being brave by everyone he encounters. He fell off his bike and nearly got hit by the careening car but more or less accidentally found his way inside the car (don't ask) to stop it. The car slows to a stop in front of his new school on his first day of classes, branding him a hero to the entire student body, save a few skeptical students. The mother of the baby, who's a total MILRNLHBUIC (Mother I'd Like to Remind Not to Leave Her Baby Unattended In The Car) rushes over to thank him, revealing that while having your mom drop you off at school is embarrassing, having someone else's mom there makes you the coolest. Craig's good fortune continues to accrue. He befriends the cutest girl in school, Amy, who is beyond impressed with his feats of bravery. Unfortunately, her best friends, Travis and Brad, are Craig's harshest critics. The boys refuse to be won over by his charms, even though he later rescues a bird's nest-- and man, if rescuing a bird's nest doesn't impress preteens, nothing will. And so it goes, as Craig is built up to ridiculous levels of bravery by his peers. My personal favorite misunderstanding finds Craig screaming in horror at a scary movie, to which Amy agrees, it is fun to scream along with the characters in the film! Jealous of the attention being lavished on the new kid, Travis becomes obsessed with proving Craig is a scaredy cat. And Travis' cause gains traction after he talks to a distant cousin, who previously went to school with C-C-C-Craig. So Travis shows up with a jar full of spiders and dares Craig to stick his hand in the jar for five minutes. Craig is goaded on by Amy and does so, only to be bitten so many times that he can't even remove his swollen hand after five minutes are up. So Amy talks Travis into going double-or-nothing and Craig has to keep his hand submerged twice as long. Once they leave, Craig comes clean but Amy thinks that too was brave. He then washes his hands, an action which I'm sure she also found brave. Travis pledges to go double or nothing again the following day. The bravery challenge this time will be to kiss a poisonous snake on the lips, which sounds more like a test for stupidity to me. Only the snake thing was misdirection for one of the boys plucking out their eyeball and shoving it in Craig's mouth. Craig comes out of this one looking brave by spitting out the eyeball, as though the cowardly thing to do was to swallow it? To the surprise of no one, the eyeball was a fake gag and also there was never any snake. But this too is not enough to prove Craig's bravery. And while I agree, I don't necessarily sign on for more tests either. Travis' dad works at a funeral parlor. So now the newest bravery test involves Craig sneaking into the funeral home and sitting in a coffin. But unfortunately for him, the coffin he chooses is occupied. His "friends" egg him on anyways, as a truly brave person would sit in a corpse-filled coffin no problem. Just like all those other military generals, firefighters, and action heroes who hang around in coffins during their off hours. But wouldn't you know it, the corpse comes to life and tries to choke Craig. It is of course Travis in disguise, and somehow Craig allowing himself to be choked proves his bravery, and Travis is shocked at how brave he really is. But then Amy challenges Travis to let Craig repeat the challenge again the next day for no reason other than that Craig is her prized pig and she keeps setting up things for him to jump over. At some point Craig comes clean with Amy, but Amy just thinks he's not only brave but sweet to not want to take Travis' money by pretending to be afraid. Also Craig accidentally beats up Brad's older brother, and boy as much as I like this book, there's probably one too many of these kinds of scenes. But subtlety has had a restraining order out against Stine for the length of the series, so I can't say I'm real surprised. So the big climax finds everyone back at the funeral home, where surprise surprise the corpses really do come alive. Everyone runs off while Craig bravely defends those who abandoned him, proving once and for all that he actually is brave. Also one of the attacking coffin corpses is wearing a hat, which begs one final question: Why would you bury someone wearing a hat? It turns out the corpses were set up by Craig with help from Brad, who felt bad about how devoted Travis was to proving Craig's bravery. The zombies were actually Brad's older brother (the one Craig "beat up") and his friends. And if you thought this book already seemed a little like You Can't Scare Me!, you'll be happy to know that it proceeds to being exactly like You Can't Scare Me! Brad's brother walks in and apologizes for his friends not being able to make it to the cemetery. This causes Brad to race away from the room so he can vomit in horror. I was getting worried that the book was so far along without a vomit scene, but there it is. Craig and his new best friend Amy, whose big mouth causes Craig's attraction to her to disappear about halfway through the book. Outside of the distraught mother who opens the book, there's not a single other adult in the novel. Finally, a Lord of the Flies for our generation. Some of the horror movies Craig browses in Amy's collection: Killer Daycamp, Killer Daycamp II, Killer Daycamp III: the Revenge. Craig's life is ruined-- and by ruined, he means greatly improved. I gazed down at the box. It showed two teenage boys and two teenage girls screaming in horror. So, you enjoyed it? Good show. In case anyone's wondering, the thing I was talking about is that it's the only Goosebumps set in the real world. As in, nothing supernatural happens. Whether the non-supernatural events are REALISTIC, that's another matter. So did you like it or not? Was there bee-throwing? Oh please tell me there was bee-throwing. As usual, a good recap is all I need to remember the book. I don't remember if I liked it or not when I first read it, but certainly it seems like a nice change now. So it's Headless Halloween next? If I recall correctly - well, I won't spoil it, but it's a strange one. 2000 often is. Wait, what supernatural happenings are in Shocker on Shock Street or Fright Camp? Robots and unrealistic experiments could happen. Ah, good catch Anonymous Number Two! As of this month, I'll have owned this book for a full decade. And I've only read it once. Now I remember why. I remember Headless Halloween being sort of lame. Something about a party, and then the book ends. Pretty sure there's puke, though. So at least we have that to look forward to. I must say, though. #11, Attack of the Graveyard Ghouls is one of my favorites, and it has one of the most gruesome covers I've ever seen on a children's book. Plus, the twist ending is that the main character accidentally turns into a girl, or something. The horrifying onset of puberty? Wow you're giving these 2000 books more credit than I remember them deserving. Except for Horrors of the Black Ring. I distinctly remember loving that one. What in blazes was this book?! You mean to tell me this is exactly how the book turns out? Wow...mad props to troy for never giving up on the entry. "Did I stutter?" "Yeah...ya kinda did..."
OMG troy Wikipedia plagiarized you! Anonymous 2 - Shocker on Shock Street had a Ghost Tram. As in, they sit on it, but it goes through the wall. Also, there was an area where when they ride in the tram, Erin thinks Marty disappeared, but really they're in an area where it makes them seem invisible. Too much of a stretch. Also, humanesque-looking robots, which is what Erin and Marty were, are actually cyborgs. Too much Sci-fi. As for Fright Camp, I haven't read the book in a while but I think were were some things that were over-the-top scifi. simpsons reference was "the RAND Corporation, In Conjunction With the Saucer People, Under the Supervision of the Reverse Vampires Alert"
I don't know. I haven't read Graveyard Ghouls in ages and I barely remember it. Maybe Horrors of the Black Ring. I do remember it ended with Beth's sister getting a ring identical to her sister's, but I'm not sure I remember the exact line. I meant to check, I didn't expect you to remember it off the bat. Well, when you have time. But I think I prefer you email me rather than say it here. Also, humanesque-looking robots, which is what Erin and Marty were, are actually cyborgs. Actually that would be Androids. Cyborgs are biological/mechanical hybrids. Okay then, and as far as I know, Androids don't exist either. Sounds like this book sure keeps you guessing about that at the end, though. "It's a zombie! Except it's a fake! But then there's a real zombie! Except it's also fake! No it's a zombie! No it's not! Yes it is!" Whenever I get a package of plain M&Ms, I make it my duty to continue the strength and robustness of the candy as a species. To this end, I hold M&M duels. Taking two candies between my thumb and forefinger, I apply pressure, squeezing them together until one of them cracks and splinters. That is the "loser," and I eat the inferior one immediately. The winner gets to go another round. I have found that, in general, the brown and red M&Ms are tougher, and the newer blue ones are genetically inferior. I have hypothesized that the blue M&Ms as a race cannot survive long in the intense theatre of competition that is the modern candy and snack-food world. M&M Mars, A Division of Mars, Inc. Hackettstown, NJ 17840-1503 U.S.A.
Now wait a moment good anonymous sir... are you spamming or does this have something do with something? Damn, I thought this was the one where the spiders turn out to be dogs or something. Stine pulled a fast one on us by keeping this one in the realm of moderate believability. 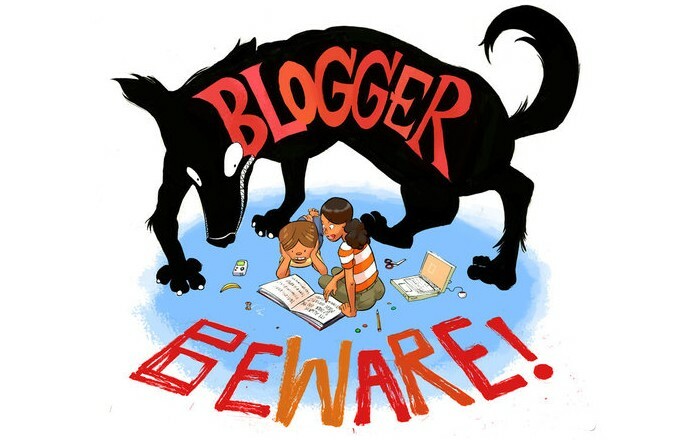 Fright Camp vs. plausibility: It's a horror camp social experiment run by a possibly insane R.L. Stine stand-in. Child abuse is pretty consistent in Goosebumps, but I'm not sure I can let Fright Camp pass into the realms of believability. Not unless those cruise ship rides with R.L. Stine involved fake ghost possessions and shipwrecks and stuff. ...Which would actually be awesome. Tuesday is here... bring on the update! Though I wasn't too crazy about Headless Halloween, but anyway... also posting for the attention of someone that was supposed to email me. >also posting for the attention of someone that was supposed to email me. I don't believe I was supposed to. In any case, I don't know. My books are at home and I'm at college. 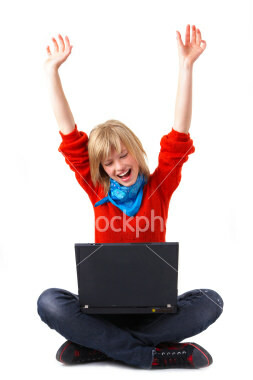 that was epic anonymous, I laughed. Good article btw, great as usual. I found this site a while ago, and I've been reading through them trying to catch up. Only ten more and I'll be right on track!! And so it goes, as Craig is built up to ridiculous levels of bravery by his peers. Intentional Kurt Vonnegut/Slaughterhouse 5 reference? If so, I applaud you lol. Killer Daycamp III: The Revenge????????????? Killer Daycamp IV: Havana Nights? I read this one yesterday. I can't share Troy's enthusiasm - it's pretty boring, a lame rehash of You Can't Scare Me. If I read this as a kid I probably would have hated it. At my age it's just a waste of time. The artwork is like Tim Jacobus' way of saying "screw you!" to arachnophobics.